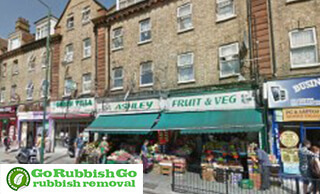 Go Rubbish Go is a reputable Cricklewood house clearance company. We have been serving landlords and home owners in NW2 for more than 10 years. We have a solid customer base and we are known for delivering 100% customer satisfaction. We provide residents in with top quality NW2 house clearance services at low cost. We are the best when it comes to delivering results! We will go the extra mile to ensure you are fully happy with our work. If you are not 100% satisfied with our service you will get your money back! It is as simple as that! Book today on 020 8610 9182! Forget about high NW2 house clearance costs! Hire us now and we will clear out your property in a jiffy. We will offer you a top class service without the high price tag! You have the chance to take advantage of the lowest Cricklewood house clearance prices. All you have to do is dial 020 8610 9182 and state your requirements! We will offer you a free quote that is unmatched by our competitors in in NW2! If you want to save money and have your house cleared out in no time at all we are the company to call! Are you wondering what to do with that old sofa? Are you worried that hiring a Cricklewood house clearance company is a complicated process? Then come to Go Rubbish Go! Our booking process is simple and straightforward. You call us and give us the details of your job and we will send our team to handle the task. No job is too simple or too complicated for our house clearance NW2 team! We can collect one item or clear out a house full of items with the same speed and efficiency. Don’t risk your health! Turn to the professionals to deal with all the heavy lifting and loading! Call now 020 8610 9182 and request your free estimate! It is our priority to keep the environment safe and reduce environmental pollution. Waste recycling is key when it comes to eco-friendly NW2 house clearance. 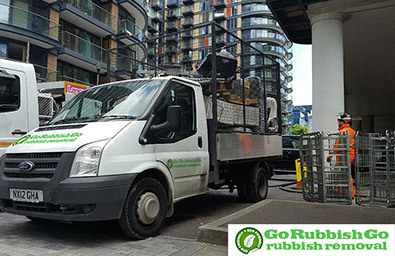 Hire us and over 85% of your waste will be reprocessed. We will sort it and send the recyclables to the nearest recycling facility. Unlike other Cricklewood house clearance service providers we don’t contribute to global warming. 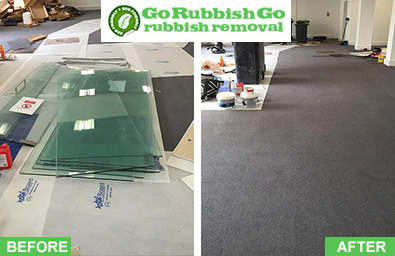 If you want to go green without spending a fortune contact us on 020 8610 9182 and hire us! We can offer you advice or give you a free consultation over the phone! Are you searching for a dependable house clearance NW2 company that won’t charge you the earth? Book with us now and see for yourself how affordable we are! Compare Cricklewood house clearance prices and you will see that we offer the best prices locally! If you are after great value for money, you have come to the right place! Not only are we cheap but we are highly efficient. We can complete jobs of any size and scale. You are guaranteed impressive results when we are on the job! Look no further than us! Call now and reserve your appointment! How much does it cost to hire a house clearance company? This is a tricky question! The price depends on the amount of waste you need disposing of. But no matter the amount of work, we will offer you the best NW2 house clearance service at the best price. If you need urgent help we can assist you! We provide same day Cricklewood house clearance services at no additional cost. Just give us a call and we will deliver the service at short notice. We are experts when it comes to delivering customer satisfaction! Get in touch with us and obtain a free no obligation quotation! Cricklewood is a suburban area located in the London Boroughs of Brent, Barnet and Camden in North West London. It is centred around 5 miles away from Charing Cross. Dollis Hill, Willesden Green, Childs Hill, Kilburn, West Hampstead, Brondesbury and Brent Cross are adjacent to the area. The Crown pub is one of the local landmarks. Nearby is located the 35-hectare Gladstone Park. Cricklewood has 2 conservation areas: the Cricklewood Railway Terraces and the Mapesbury Estate. Cricklewood Broadway is the main road running through the area. There are good transport links. The area is served by Cricklewood Station. Willesden Green tube station and Kilburn tube station lie within a 15-minute walk from the main road.